What are Veneers? Many of us feel self-conscious about our smiles. For some, it’s as simple as whitening our teeth. But for many, gaps, crooked teeth, severe discoloration, and other issues create anxiety and dissatisfaction. At Downtown Dental Services, we believe everyone should feel confident when showing off their happiest smile. Dental, or porcelain veneers, are a simple, extremely effective option to correct these problems. A dental veneer is an ultra-thin layers of ceramic molded and bonded to the front and top surfaces of your teeth. 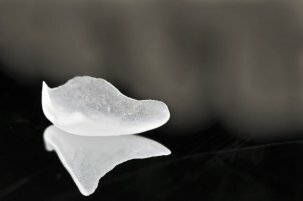 These molds adhere directly to the tooth surface and can be shaped to correct gaps and crooked or misshapen teeth. The procedure, while taking 2-3 visits, is easy and has little discomfort. With highly advanced materials and superior molding techniques, veneers are virtually undetectable to the untrained eye—the only difference you’ll notice is a visibly better smile! The ceramic can be colored to match other teeth as well, ensuring an even appearance, and is not highly susceptible to stains. They remain extremely strong for years.